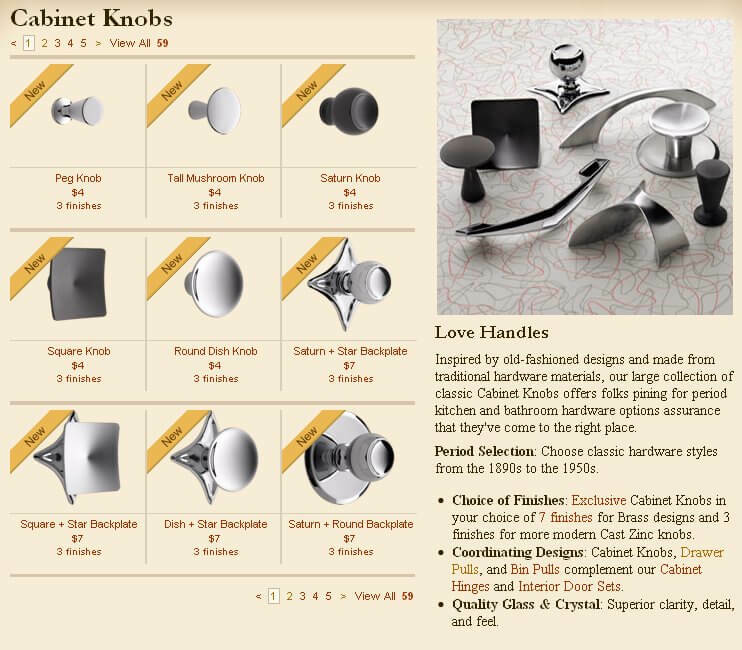 The folks at Rejuvenation have introduced a whole new lineup of midcentury-styled cabinet knobs and pulls. I know that readers here will be thrilled to see the boomerang aka chevron pulls (1st photo) …now, can we have them in 2-3/4″ spread, too? 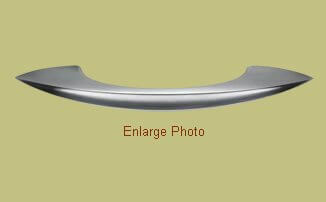 And, the arched pull (2nd photo) is a design based on an original Washington Line pull – cool! 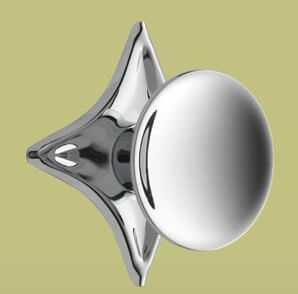 Of course, I also know that readers will love the “star backplate.” Let me suggest, though — use this for the bathroom where you only need a few of them…they also look great with crystal knobs. Remember this vanity — it shows how this pull can be used very nicely – not too much, not too little – just right. 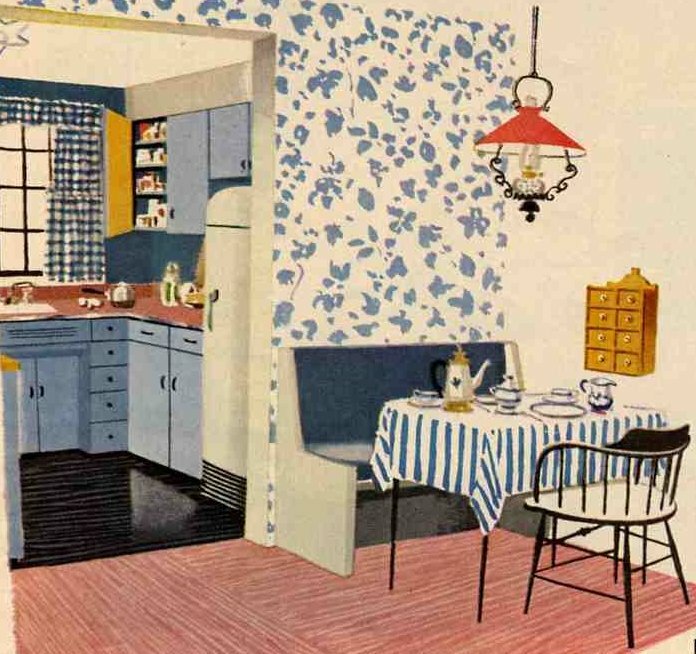 In the kitchen — I think the stars would be way too much. 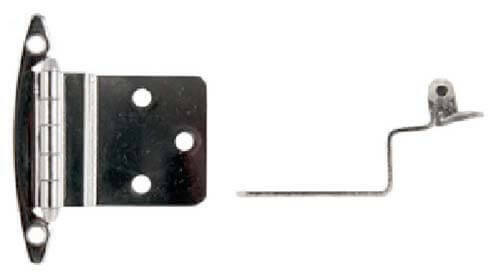 I AM LOOKING FOR HINGES FOR MY ST CHARLES KITCHEN CABINETS. Looking for pulls and back plates for 1953 geneva kitchen cabinets. 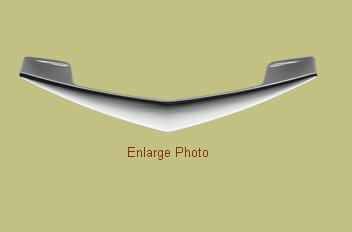 The old-style recessed ones, if that’s what you’re looking for: Impossible to find new as far as I know. I have the chevron in my girl’s rooms and my pink bathroom 🙂 Really are the starbursts too much for a kitchen?? I was highly considering. I don’t think they’re too much! …Has anyone reviewed them? Nearly half the price. I realize that Rejuvenation doesn’t skimp on quality. Also, approximately what time period was the chevron pull used. 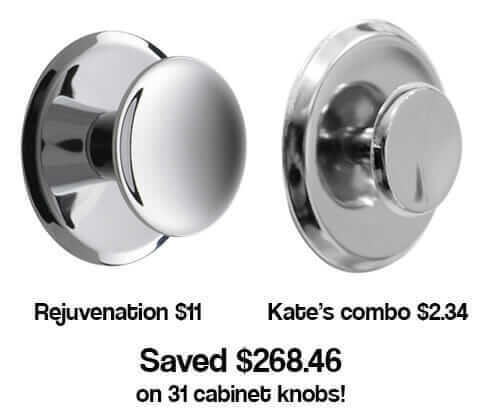 Our home is a 1959 modern ranch, full of the dished round pulls with round backplates on it’s cabinetry. I just like the chevrons. It is for a new main floor laundry room. We have not reviewed these – the site says they are new. Great spotting! I wonder if they are the same ones used on the Shasta reproductions last year — Shasta told me they had theirs custom made. The only way to vet quality is to buy one of each and compare… I don’t think I have my Rejuv samples any more… but as I recall, they were quite nice.